Am I really halfway done with the Whole 30? I can't believe that. A lot of people in my life have been asking me how I'm doing with all these restrictions, and how I'm feeling. To be honest, I couldn't be better! I'll talk more about that in my update below, but I really can't believe that I'm passing the halfway point already. I feel like I'm just getting started! A major change that I'm experiencing this week is an increase in energy levels. It's actually kind of crazy to me, but I haven't felt tired at all this week - no 2:00 slump, or drowsiness in the morning - nothing. With marathon training picking up and dark/dreary days lately, this is typically the time that I would feel exhausted and run-down most of the day. Now, the only way I can explain the way I feel is "fresh". My body feels energized, and I just want to be productive all the time, whether at home or at the office. I'm sure this has a lot to do with cutting out sugars, but it might also have to do with the supplements that I added (Fish Oil, Vitamin D3 and Calcium). Whatever it is, I love this feeling! Some physical changes that I'm experiencing is clear skin (YAY), flatter stomach with no bloating, and stronger hair. To get a bit TMI- my hair seems to fall out a lot and shed all over the place, but I haven't noticed any shedding at all this week. I wasn't expecting that kind of change, so it was a nice bonus! Last week I also mentioned that my pants were fitting tighter, and (thankfully) that is not the case this week. As you can tell, this was a great week overall, and I'm getting a little sad that the program is almost over. I'm thinking about changing my future eating habits to be more Whole30-based since I've never felt so amazing in my life. Now I see why people say this is life changing! I also don't feel like I'm missing out on anything. I haven't had any cravings for food that are off of the plan, except for wine. I could have gone for a glass of wine a few days this week! Whole30 meals that are cheap? Sign me up! Love the format of this one! So easy to follow, and clever way to stay organized. I just really love the design of this blog and this post in general. A collection of dinner recipes for the entire 30 days of Whole30! A whole 30 days worth of frozen meals! Prepare once, and enjoy all month long. If you sign up for Chrissa's newsletter, she'll send you a 30 day plan! I received it and it's amazing! How's everyone else doing on the Whole30? What is on your meal plan for this week? That's awesome that you are seeing and feeling results! I am feeling better this week and it's funny to see how my body reacts to a bit of sugar (hangry slip up on peanut butter Friday) and how foggy my head gets. That's interesting to hear that you can already tell a difference! Glad that you're feeling better! 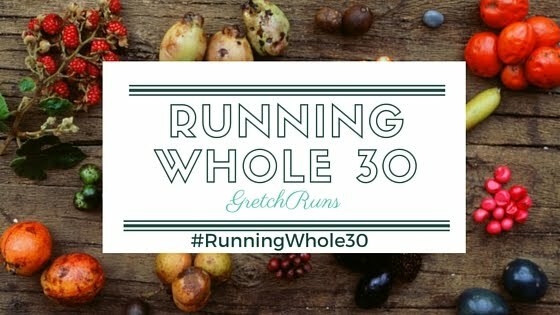 Sounds like Whole 30 worked out great for you! I notice more energy when I eat less garbage too! It sounds like you are really benefitting from this. I've just googled whole 30 and was reading it for a while. It seems you have given up quite a bit, but obviously your body is thanking you for it. Maybe I might try and ease myself into something like this lol.. I remember doing a juice fast and after a few days feeling amazing and full of energy.. But that wasn't sustainable. And I had massive constant cravings. I've tried a juice fast and didn't even last a full day! I definitely couldn't do it again..I'm not the type to drink all of my calories so it was really hard. This is so much easier since I can eat all the healthy stuff I want. So many options!